This week I'm taking some of the books I've read this summer while researching productivity, children and the internet/devices/video games, and how devices and the internet change our brains and am giving y'all some highlighted quotes for those interested. I know that most people don't want to read a stack of books about the same topic, but I'm a nerd and a researcher at heart, so I love this stuff. ;) Hopefully by pulling some of the quotes from all these different books, it will give you some food for thought and also help you decide if you want to pick up the book to read. Yesterday I tackled The End of Absence: Reclaiming What We've Lost in a World of Constant Connection. Today, I'm going to cover a different book with a similar topic, but this one is more about how to protect your mental health in the connected world we live in. So yesterday's book was more philosophical, The Power of Off is focused more on psychology and self-care. Our reliance on technology is rapidly changing how each of us experiences life. We’re facing new issues and difficulties, we’re encountering new emotional triggers, and we’re relating to each other in new ways. As Dr. Nancy Colier writes, “How we spend our time, what motivates us, and what we want are all are on a radical course of transformation.” The promise of technology is that it will make our lives easier; yet to realize that promise, we cannot be passive users—we must bring awareness and mindfulness to our relationships with our devices. 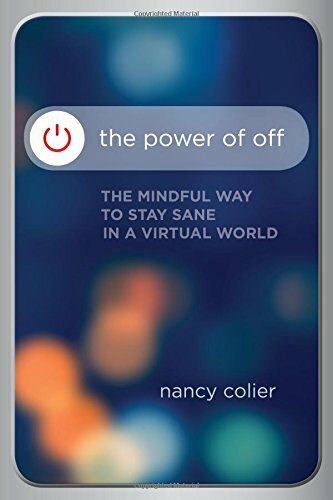 With The Power of Off, Colier sounds the call for wakefulness, reminding us that we can use technology in a way that promotes, rather than detracts from, our well-being. This book provides an essential resource for anyone wanting to create a more empowered relationship with technology in the digital age. "If other people know about our lives, our lives will feel more real...If the world knows who we are, we will know who we are....With enough virtual destinations to choose from, we will find somewhere that we want to be." Like most of you know, I did a device-free summer with kidlet and was very nervous and intimidated when we started it, but it ended up being a great decision and easier than I thought. Her experience below with her daughter was similar to mine in that my kidlet handled it much better than I anticipated. I actually didn't have to say no except once because when I told him it was for the whole summer, he accepted that as fact, so he hasn't asked because he knows no devices or video games this summer, period. "Getting kids off technology is not for the faint of heart, not once they’ve tasted the relief and glee that a princess video on YouTube can provide. Getting off technology is, in fact, hard for the whole family. In the end, for me, it’s a matter of using my resilience and my ability to stay present and connected with my love for my daughter, my deeper wisdom, and my clear intention to teach my child to enjoy herself without external entertainment. I want her to know her own internal resources and to trust the imagination and intelligence she contains. Thankfully, the more I say no, the more she returns to playing on her own, engaging herself, and being happy and proud about it." On FOMO, the fear of missing out. I had to deal with this some in June/July when I did a 3-week social media fast to get my book finished, but that anxiety about missing out faded in a few days. After the fast, I've been reluctant to return to the previous state, so now I'm still limiting my social media just because it feels better. I feel calmer. "Indeed, many of us have grown afraid that if we don’t continually tell the world who we are, as everyone else is doing, we will become invisible and irrelevant." She also made me think more about what I post when I do post. This is no judgment from me about what anyone decides to post, but it has now given me personal pause to think more deliberately about what I'm posting. "A Facebook post by an intelligent friend, a fifty-year-old woman, read: 'Up for an early bike ride, now followed up by some fresh fruit and an acai juice.' Why do we now use our time to report such things? Why is it important that the public know our morning juice ritual? Do we not reap the same health benefits and take the same pride in that bike ride if others don’t know about it?" These made me think because it's like that tree in the woods thing--if a tree falls in the woods but no one hears it, did it really happen? That's how social media feels sometimes. It didn't happen unless we post about it. (And I know the irony of me commenting on this as I blog about something I'm doing in my life, lol.) But it comes to my mind a lot at concerts when everyone has their phones up recording the performance and watching the tiny screen instead of, you know, actually experiencing the live performance you paid all that money for in order to get a low quality video that won't be as good as one you can look up on YouTube. "What has happened to the power of internal experience, the private knowing of what we do in our lives? It appears that internal validation is disappearing and we increasingly need an external response for each moment we live." "The rise of technology in our lives has been accompanied not only by the drive to turn ourselves into a brand but also by an undeniable explosion in our need to be witnessed." "And often what accompanies this swelling desire is the belief that everything we live, from every thought to every splinter, is of monumental significance and fascination to others." "Ask yourself: What role (if any) does technology play in making me feel seen, known, or valued? Why is it important to me that others know about this? ...If they know, does it change the experience...? What changes or relaxes as a result of my making this experience known to the world?" On how our sense of self matures (or doesn't.) This definitely gave me pause since I'm in my thirties now. "There used to be a developmental stage in life, usually sometime in our thirties, when we shifted our focus from the outside to the inside. That is, we stopped defining ourselves by what others thought of us and became more interested in what we thought of ourselves and the world. This stage could be called “growing up.” It seems that this stage of life is now disappearing for many of us. Now, the question Do I like myself? has been replaced by Am I liked?" 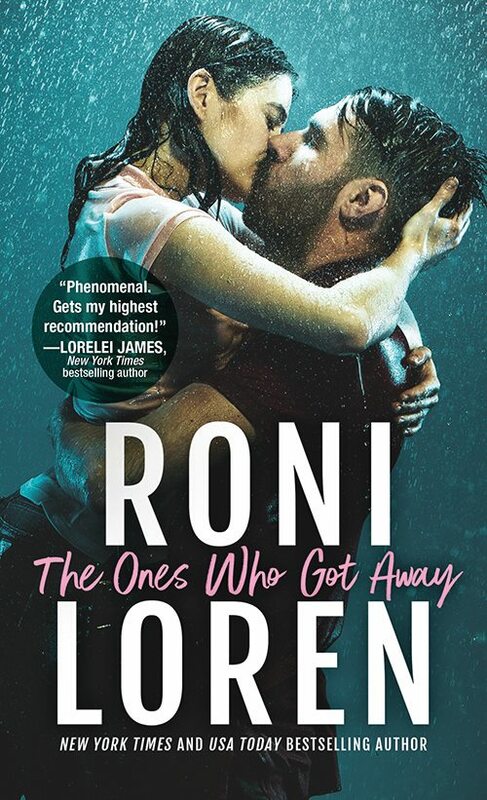 So if you're looking for a read that will make a case for stepping away from social media sometimes and give your brain a break in the name of self-care, this is a good one to pick up.